There are hundreds of patterns, decorative borders, and scenes which you can add to your Topperoo project. 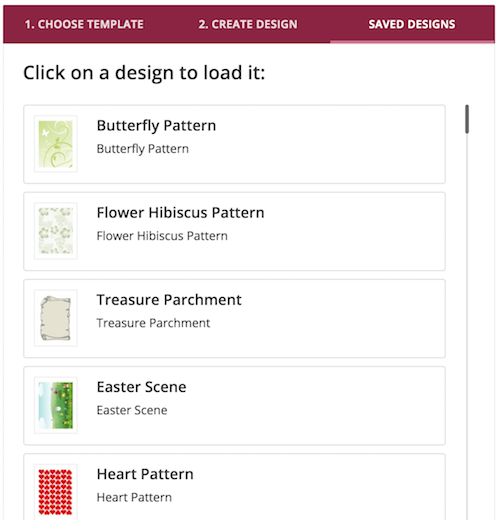 Simply go to the third tab SAVED DESIGNS to browse a range of designs for inspiration. To add a design to your project, simply click on the relevant design and accept the prompt to clear any existing project. Can I add cutting lines around my design?